Stefano Bolognini, who is president of the International Psychoanalytical Association explores the usefulness of the cat-flap as a psychoanalytic metaphor in his book ‘Secret Passages : The Theory and Technique of Interpsychic Relations’ (2011 – Routledge). The ‘cat-flap’ metaphor in this context is illustrated by passages from the book. • J. Am. Psychoanal. Assoc. • J. Am. Acad. Psychoanal. 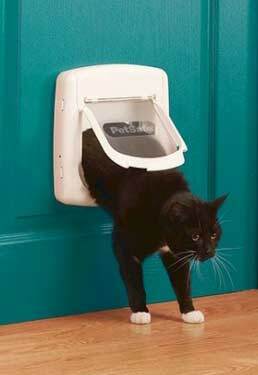 Note: The photo shows the Staywell 300 4 Way Locking Cat Flap available from Catflaps.co.uk (£15.16 inc. taxes).